welcome to bright tank brewing co. Bright Tank Brewing Co. is founded by husband and wife team, Mathew Moore and Gemma Sampson. Located att 100 Brown Street in East Perth, Bright Tank Brewing Co is a microbrewery, bar and restaurant all in one - a social space for people to enjoy quality craft beer matched with tasty innovative food. Bright Tank Brewing Co. is founded by husband and wife team, Mathew Moore and Gemma Sampson. Located at 100 Brown Street in East Perth, Bright Tank Brewing Co is a microbrewery, bar and restaurant all in one - a social space for people to enjoy quality craft beer matched with tasty innovative food. Taking the reins in the kitchen is Head Chef Jake Gledhill who has created a delicious seasonal share plate menu which complements the Bright Tank range of beers. 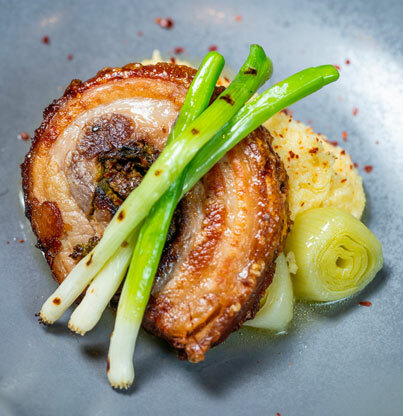 A Beergustation menu will be offered once a month, and each course will be carefully crafted to match a beer. The concept of Beergustation is already popular among craft beer lovers and has gone from being offered as a one-off event to a permanent fixture in the Perth restaurant scene. To encourage an awareness and education of the broad range of beers available, Bright Tank Brewing Co. look forward to hosting a variety of events, with Head Brewer and Certified Cicerone, Matthew Moore and Venue Manager Josh Edmeades. Warning under the Liquor Control Act 1988, it is an offence: to sell or supply liquor to a person under the age of 18 years on a licensed or regulated premises; or for a person under the age of 18 years to purchase, or attempt to purchase liquor on licensed or regulated premises.